The starting point of the project is the development of a children's theatre in Langa and Cape Town World Design Capital 2014. 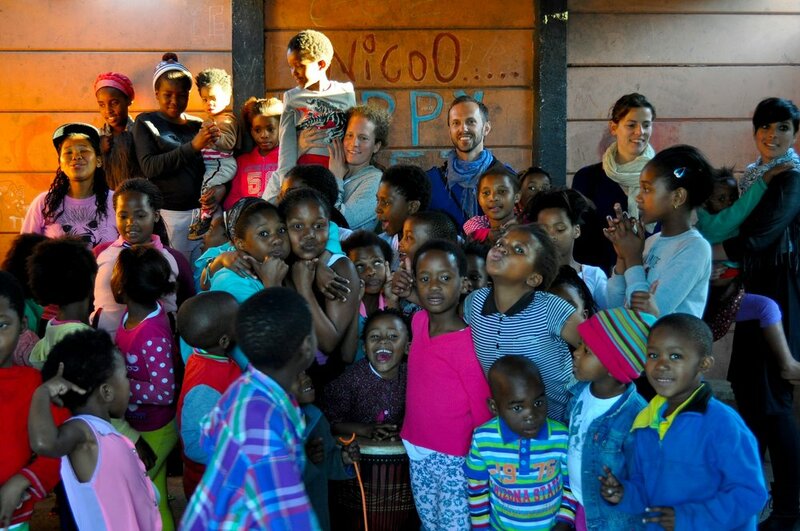 In a cooperation of the Department of Arts and Culture of the City of Cape Town, the architectural faculties of RWTH Aachen (DE), PBSA Düsseldorf (DE) Georgia Tech Atlanta (US), the support of UCT (SA) and the local community, a children's theatre is being built in the township of Langa, Cape Town. The building is mainly built by architectural students and local participants with a completion date of October 2014. During Cape Town's hosting of the World Design Capital 2014, Langa has been chosen as one of the project areas of the city. The focus will be on the theatre as key design project as well as a venue for events during the Design festival. Therefore the project „In Performance - Building Theater“ links the process of building to the anticipated utilization of the space. Before the official opening of the theatre, a performance developed through an interdisciplinary collaboration between architects, textile as well as fashion designers and performers as representatives for the future users, will thoroughly explore the endless possibilities of the space and structure.